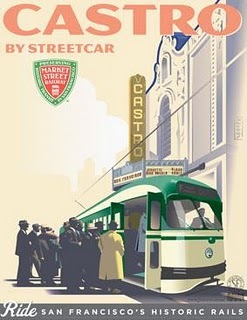 As the San Francisco Silent Film Festival (SFSFF) prepares to launch its 16th edition this week, I find it impossible to say anything about this magnificent event I haven't already stated in previous SFSFF blog posts. So at the risk of sounding like a broken 78-rpm record, here again are the reasons why SFSFF is one of the biggest highlights of my movie-going year. 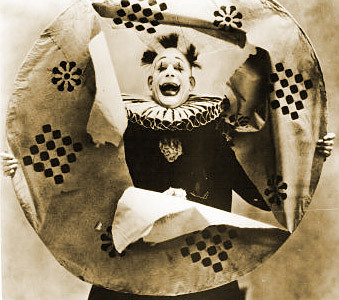 "Silent filmmakers produced masterpieces and crowd-thrilling entertainments. Remarkable for their artistry and their inestimable value as historical documents, silent films show us how our ancestors thought, spoke, dressed and lived. It is through these films that the world first came to love movies, and learned to appreciate them as art." Here's a ruminative stroll through this year's tantalizing 18-program line-up. 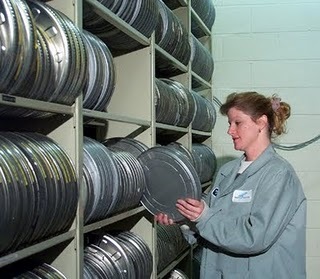 In 2009, nitrate prints of 75 American silent movies, many of them previously considered "lost," were discovered in a Wellington, New Zealand film archive. John Ford's Upstream, a lighthearted backstage drama about the struggling denizens of a showbiz boarding house is the first feature-length of these treasures to be preserved for the public. Upstream is said to reflect the influence of visionary director F.W. Murnau upon Ford, a filmmaker best known for his epic Hollywood westerns. Interestingly, this is the second year in a row that SFSFF kicks off with a John Ford silent. Upstream will be accompanied by the Donald Sosin Ensemble (consisting of Sosin and members of the Mont Alto Motion Picture Orchestra) and afterwards an Opening Night party will take place at the top floor loft of the McRoskey Mattress Company. For the first time this year, SFSFF will screen a film concurrent with its Opening Night party. Considered the zenith of silent film art by many – and named one of the greatest motion pictures of all time by others – F.W. 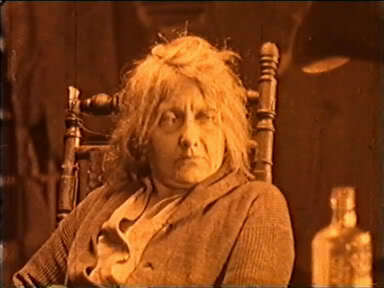 Murnau's masterpiece has of course been shown at previous SFSFF editions, most recently at the 2009 Winter Event. The reason for this speedy return is the world premiere of Giovanni Spinelli's new rock score which is performed on a single electric guitar. The very notion will set some purists' teeth on edge. I admit I felt dubious until reading this piece on Anne Thompson's indieWire blog and watching this 6 1/2 minute doc short at Vimeo. Now I can't wait. 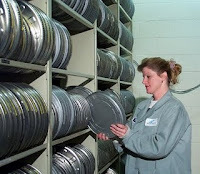 Celluloid sleuths from the George Eastman House, UCLA Film & Television Archive, and Academy Film Archive will illuminate the process of film identification. Last year's Silent Film Preservation Fellow Ken Fox will also speak on recreating intertitles for the recently rediscovered and restored Douglas Fairbanks film Mr. Fix-It (which screens Saturday night). Musician Stephen Horne will accompany these presentations of cinematic discovery. FREE ADMISSION. Filmed on location in Mississippi, this is the earliest film adaptation of Mark Twain's popular novel. William Desmond Taylor was the obvious choice for director, having already made the immensely popular Tom Sawyer (1917) and The Further Adventures of Tom Sawyer (1918). Two years after the release of Huckleberry Finn he would be shot dead in his living room in what remains one of Hollywood's great unsolved mysteries. Of the 64 films Taylor directed during his nine years in Hollywood, only 18 exist today. 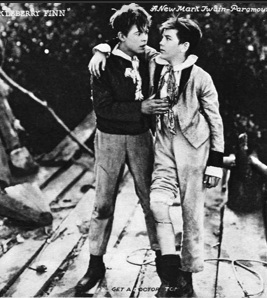 Huckleberry Finn is the 1000th film to be preserved by the National Film Preservation Foundation and NFPF director Annette Melville will be on hand to introduce it. Donald Sosin will accompany. 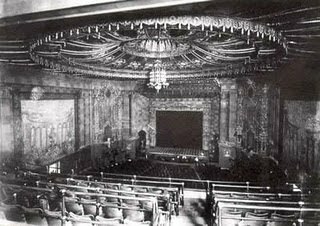 For a detailed account of the film's preservation, check out this fascinating entry at the SFSFF blog. 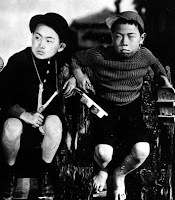 Considered one of the great films about childhood, master Ozu's gentle satire about two young brothers and their disillusionment over social hierarchy occasionally plays UC Berkeley's Pacific Film Archive, most recently in 2009. Still, nothing will top seeing it on the Castro's big screen in a new 35mm print from Janus Films, with live accompaniment by the amazing Stephen Horne. In 1910, British filmmaker Herbert Ponting accompanied Captain Robert Scott on a race to reach the South Pole. 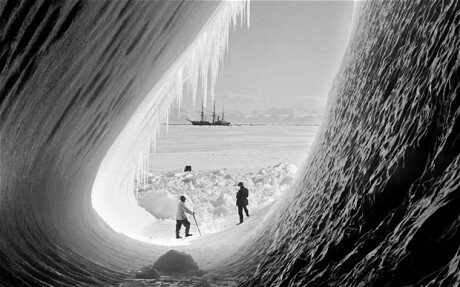 It wasn't until 1924, however, that he edited his footage of the ill-fated Antarctic expedition into a feature-length film, which has been recently restored by the British Film Institute (this screening will be its North American premiere). 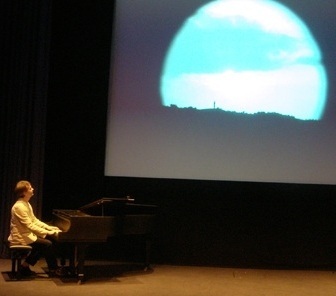 The documentary is one of three 2011 SFSFF programs that will be accompanied by Sweden's Matti Bye Ensemble. Their original score was developed during a recent residency at Marin's Headlands Center for the Arts, as part of a special collaboration with the SFSFF. Il Fuoco means "The Fire" in Italian, and diva Pina Menichelli is said to be incendiary as a femme fatale who seduces and discards an infatuated artist. 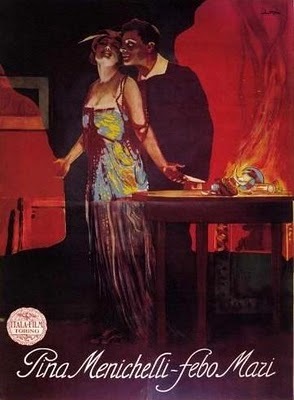 With her feathered headdress, long capes and clenched teeth, Menichelli earned the nickname "Our Lady of Spasms" for her abrupt, vampish gestures in the film. Stephen Horne and composer/performer Jill Tracy will provide the accompaniment and rock musician/Italophile Jonathan Richman – fresh from translating the poetry of Pier Paolo Pasolini for City Lights Press – will do the introduction. One of my favorite things about SFSFF is hearing 21st century children shriek with delight at the antics of century-old silent comedies. There should be merriment galore when this year's fest screens a half-dozen fairy tale cartoons produced at Walt Disney's Kansas City, MO studio. 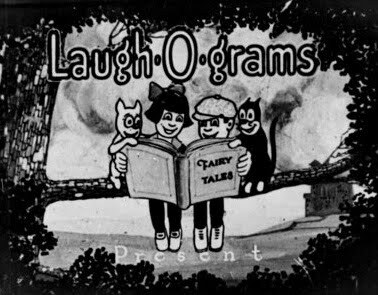 Laugh-O-Gram Studio was Disney's pre-Hollywood enterprise, where he first employed ace animators like Ub Iwerks and Friz Freleng. Leonard Maltin and Disney author/historian J.B. Kaufman will introduce the program. Donald Sosin provides the accompaniment. Last year's musicians panel was such a success that SFSFF has brought it back for another go-round. With the aim of shining a light on the process of composing silent film scores, members of Matti Bye Ensemble, Mont Alto Motion Picture Orchestra, Alloy Orchestra, plus Dennis James, Giovanni Spinelli, Stephen Horne, and Donald Sosin will all be on hand to discuss and debate their craft. Composer/performer Jill Tracy will moderate. From the acclaimed director of Sir Arne's Treasure and Erotikon comes this romantic melodrama about the consequences of a young man's rebellion against his family. 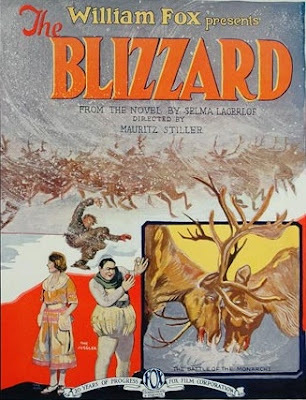 Highlights are said to include a jaw-dropping reindeer drive across a wide river, an unsettling dream sequence and some weird hallucinations. Shortly after making The Blizzard, director Stiller came to Hollywood after accepting Louis B. Mayer's offer to make films for MGM. He brought along a young Swedish actress he had discovered and renamed "Greta Garbo." This film will be accompanied by the Matti Bye Ensemble. Speaking of Garbo, this next film is by a director who became best known for helming many of the star's early Hollywood vehicles, including Flesh and the Devil, A Woman of Affairs and Anna Christie. Here he directs a reportedly knockout lead performance by Louise Dresser as a former opera diva who lost her voice while giving birth to an illegitimate baby. Now a wretched tender of geese, she seeks to exploit a murder case in order to regain her lost fame. Inspired by real events. Musical accompaniment by Stephen Horne. Four years before directing Douglas Fairbanks in his celebrated role as Robin Hood, Allan Dwan made this romantic comedy-of-manners. Fairbanks stars here as a college boy who goes all out to save his best friend from an arranged marriage. It co-stars a certain Wanda Hawley (no relation) as the bride-to-be. This screening is the premiere of a recent restoration by the George Eastman House. Dennis James will do his thing on the Castro Theatre's Mighty Wurlitzer. Marlene Dietrich appeared or starred in more than a dozen silent movies, so it's surprising that this is her first appearance at the SFSFF. 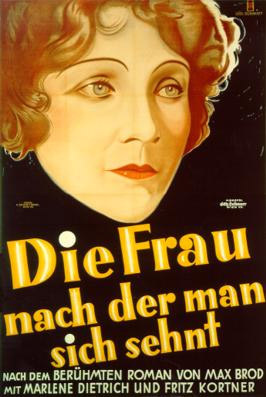 Released one year before her star-making turn in The Blue Angel, this is the film that proves the Dietrich persona was not entirely crafted by director/svengali Josef von Sternberg. In this potboiler that travels from the French Riviera to an Alpine resort, a woman who recently murdered her husband manipulates an unhappy newlywed into freeing her from the clutches of an accomplice. None other than San Francisco's Czar of Noir, Eddie Muller, will introduce the film and The Mont Alto Motion Picture Orchestra will accompany. 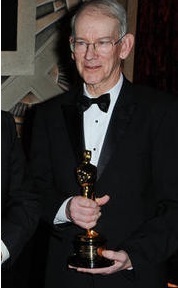 Esteemed film historian Kevin Brownlow, recipient of the 2010 SFSFF Award and recently honored by the Academy of Motion Picture Arts and Sciences, returns to the festival with this presentation. 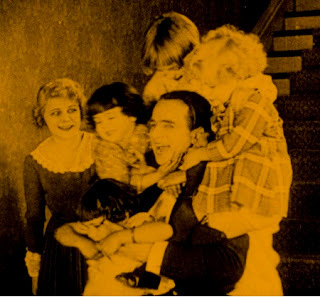 He'll talk about his love affair with silent film and his crusade to return it to the public. The program will include numerous film clips that will be accompanied by Stephen Horne on piano. FREE ADMISSION. Lois Weber was the most important woman director of the silent era. In 1914 she became the first to direct a feature length film (The Merchant of Venice) and in 1916 – a year in which she made 19 films – she was simply the highest paid movie director in the world. (John Ford once served at her assistant director.) This former street corner evangelist made well over 130 films in all, and their controversial subject matter (abortion, birth control, prostitution, capital punishment, alcoholism, drug addiction) ensured their commercial success at the time. 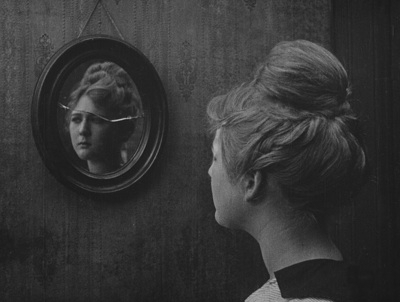 Shoes is a recent digital restoration by the EYE Film Institute Netherlands and tells the tale of a young working woman who sells her body for a pair of shoes. Dennis James will provide accompaniment. This is perhaps the program I'm most looking forward to. In these 10 short films from four countries (USA, France, Germany and Russia), we'll get to marvel in some fabulous silent-era special effects. 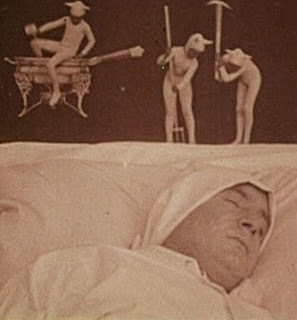 Probably the best known are Wladyslaw Starewicz' 1912 stop-motion animated insect fantasy, Cameraman's Revenge and Edwin S. Porter's 1906 Dreams of a Rarebit Fiend. The films will be accompanied by the innovative and incomparable Alloy Orchestra, making their one and only appearance this year's festival. This bit of Soviet agitprop is a very early work by the director of 1957's Palme d-or winning The Cranes are Flying and 1964's acclaimed I Am Cuba. During wartime, a young soldier runs to secure help for his besieged comrades, but his efforts are thwarted by the titular poorly manufactured boot. 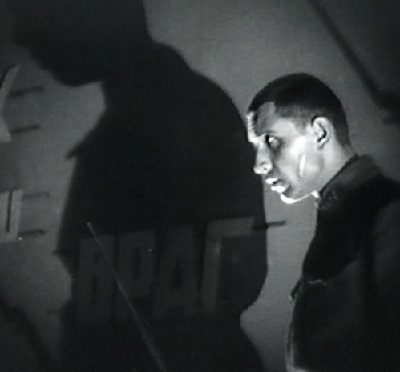 The film was eventually banned by Stalin because Kalatazov "did not apply the revolutionary method of dialectical materialism to his theme, but proceeded from formalistic aestheticism.” Whatever. Opening the program will be Chess Fever, a comic featurette directed by montage theorist Vsevolod Pudovkin, one year before the release of his masterwork, Mother. Stephen Horne accompanies. The 16th SFSFF closes with a twisted tale of betrayal and revenge starring Lon Chaney. He plays a humiliated scientist turned masochistic circus clown, a role that's considered one of his finest because of how he uncharacteristically underplayed it. 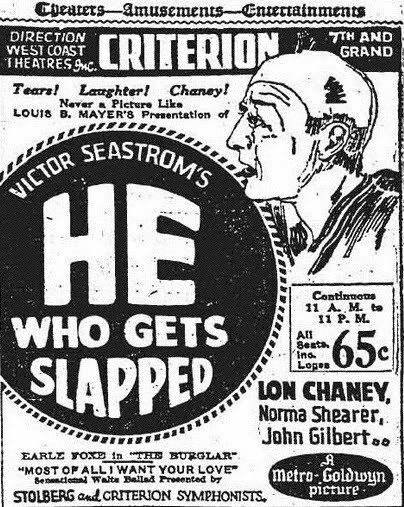 The film was MGM's very first production, and Chaney shares the screen with two of the studio's biggest stars, John Gilbert and Norma Shearer. This was also the American debut of Swedish director Victor Sjöströn (The Phantom Carriage, The Scarlet Letter). Leonard Maltin will be on hand to present director Alexander Payne (Election, Sideways) who will introduce He Who Gets Slapped as this year's Director's Pick. Matti Bye Ensemble will do the accompaniment honors. Cross published on The Evening Class and Twitch.